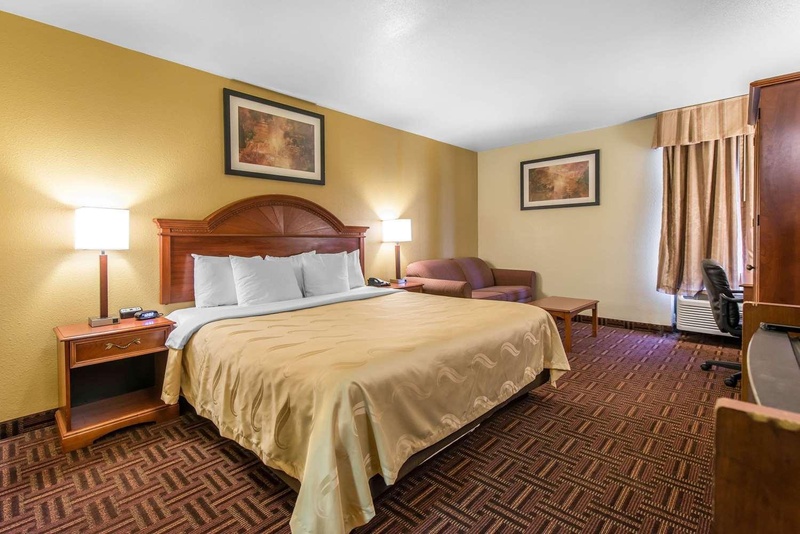 The hotel is ideally located with easy access to Interstate 25, less than 1. 6 km from the Colorado Springs World Arena. 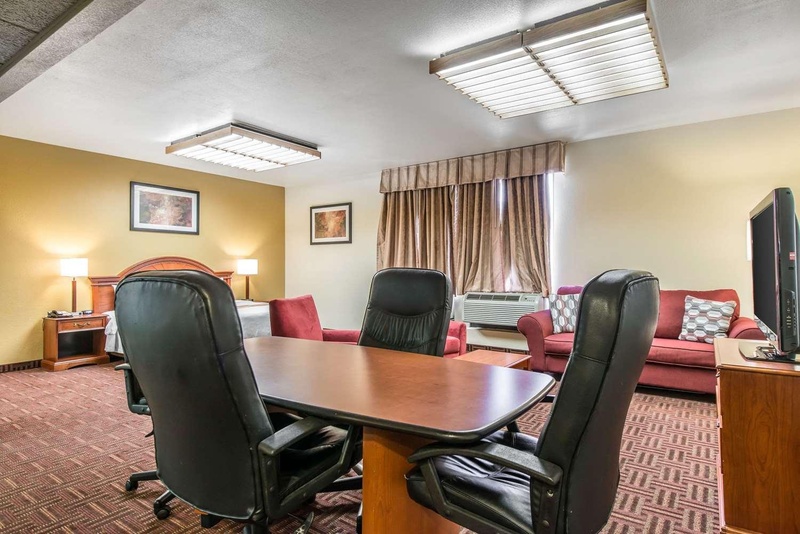 This Colorado Springs, CO hotel is conveniently situated close to the Cheyenne Mountain Zoo, Seven Falls, Pikes Peak, Garden of the Gods and Cave of the Winds. Visitors will also enjoy browsing local museums and a wide variety of specialty shops. There are several restaurants and cocktail lounges in the surrounding area, many within walking distance from the hotel. ThGuest accommodation comprises 111 rooms. Services and facilities at the hotel include a breakfast room, a laundry service, a business centre and a fax machine. Wireless internet access in public areas allows travellers to stay connected. Those arriving in their own vehicles can leave them in the car park of the hotel. Each of the rooms is appointed with air conditioning and a bathroom. The rooms have a double bed or a sofabed. Additional features include a fridge, a microwave and a tea/coffee station. An ironing set is also available for guests' convenience. Little extras, including internet access, a telephone, a TV, a games console and WiFi, contribute to a great stay. Travellers can also make use of the turndown service. The daily newspaper is laid out for guests in the the rooms. A hairdryer is provided in the bathrooms. The establishment offers non-smoking rooms. 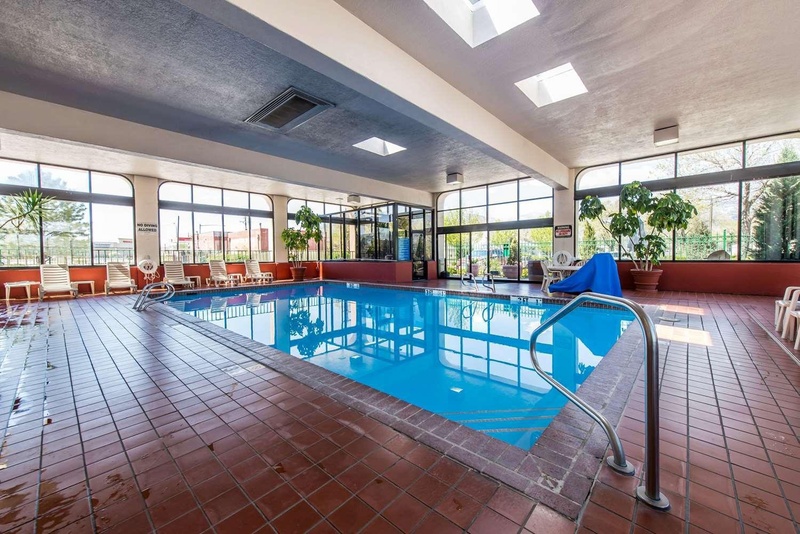 The accommodation features a pool and an indoor pool. The hot tub is the perfect place to relax. A range of options are available, including golf and a gym. Bed and breakfast is bookable. It is also possible to order breakfast. Very good budget hotel. Close to restaurants, bars and shopping areas. Great rooms and fantastic service. Great pool. Close to shopping. Close to some restaurants. Plenty of parking. Everything was clean. Dining room clean. Room was clean and comfortable. Fabulous customer service. Staff was friendly and helpful. Great front desk service. Lots of variety for breakfast. Wonderful continental breakfast. Great hot breakfast. Heated swim pool. Nice indoor pool. Decent pool. Excellent amenities. AC worked great. Modern rooms. Enjoyable gym. Excercise area was small. Jacuzzi was not working.